We take personal branding…very personally. 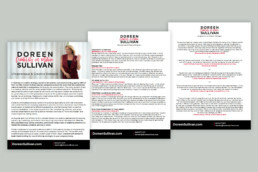 The team at Post No Bills designed the sales materials, content, and website as their CEO Doreen Sullivan launched her speaking career in the creative industry. 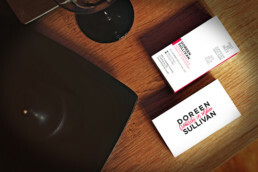 Known for her attention to detail and stand out visuals, Doreen collaborated with her team to build her own personal brand. In the truest form of Creativity in Motion, that’s putting your money where your mouth is.